Everything Jesus did was done with His death in view. “Shadow of the Cross” is a song written in an effort to capture this stunning reality: Jesus Christ always knew that death on a cross was the climax of His mission. In other words, every thought, every feeling, and every action of Jesus’ life was done “in the shadow of the cross.” The cross was always looming before Him, and He was always moving toward it. 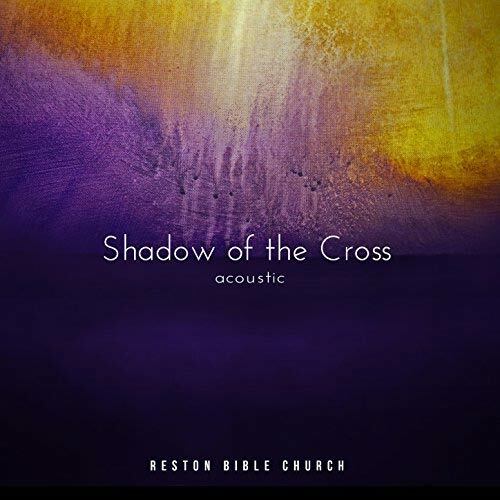 The acoustic version of “Shadow of the Cross” is available at iTunes, Apple Music, Amazon, and Google Play. The full studio version will be coming soon! We have created a study guide that, along with the song, is designed to help us move through Palm Sunday to Resurrection Sunday with deep reflection and growing gratitude as we focus our attention on the events that occurred the week leading up to Jesus’ death and resurrection. Thank you so much for the amazingly beautiful song you wrote and also for the daily preparation “ in the shadow of the cross”. It is such a blessing to me this week. What a joy to have such a beautiful song written especially for the RBC saints! We truly appreciate your leadership as worship team. It is clear that you all love Jesus and we are excited about the direction our worship time is going……..joyful, energetic, authentic and spontaneous …….we’ll all be shouting Woohoo!! before we know it! I love it!! I will be listening out for this song on WGTS!! Continued blessing on your ministry! Thank you! THE SHADOW OF THE CROSS is a beautiful song. I’m enjoying the Devotional guide too.